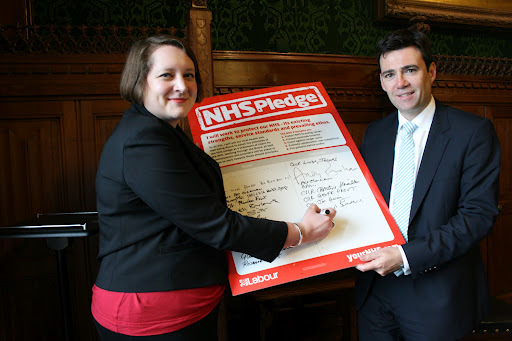 This week I was at an NHS Pledge event in Westminster with Andy Burnham and other members of the shadow health team, and councillors from across the country. We came together for a conversation about what we can do from local government to protect our NHS from the worst ravages of the Tory/Liberal Democrat legislative attack. I’ll be using the pledge to hold our commissioners, the Health and Wellbeing Board and our care providers to account. Over £19 million has already been wasted on David Cameron’s unnecessary top down reorganisation of the NHS, just in Tower Hamlets. The last sets of figures also showed longer cancer treatment waiting times for patients in the east end. This pledge is a tool for us as campaigners to use to protect local services, and, where necessary, hold providers and the Independent Mayor to account. The NHS is under severe financial strain. Much of the impact of the reorganisation is still to be felt. Labour remains the last line of defence for the NHS. •The Joint Health and Social Care scorecard tabled at the Health and Wellbeing Board meeting shows that in 2010/2011 93.3% of patients were treated within 62 days of their cancer screening. This has now dropped to 79.7 for 2011/2012. The trust’s target is 85%.